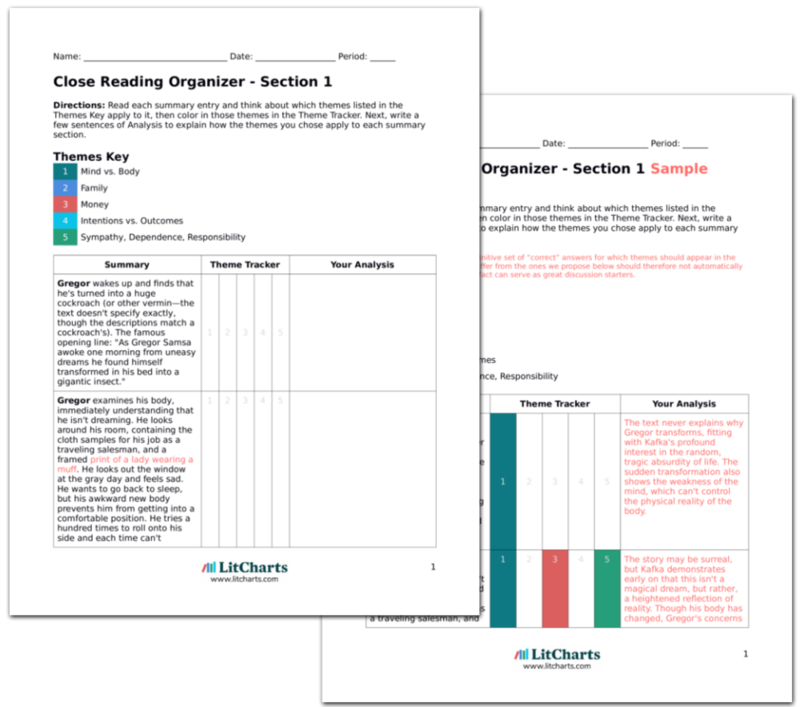 LitCharts assigns a color and icon to each theme in The Metamorphosis, which you can use to track the themes throughout the work. Dektar, Molly. 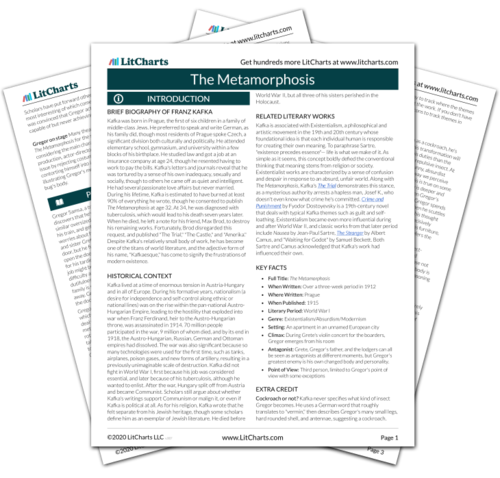 "The Metamorphosis Themes." LitCharts. LitCharts LLC, 15 Jan 2014. Web. 18 Apr 2019. Dektar, Molly. "The Metamorphosis Themes." LitCharts LLC, January 15, 2014. 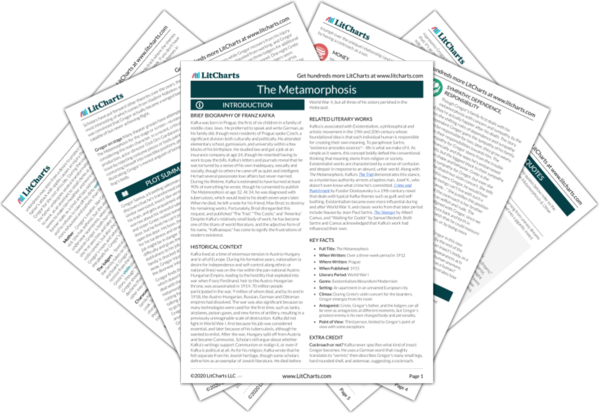 Retrieved April 18, 2019. https://www.litcharts.com/lit/the-metamorphosis/themes.